In celebration of 15 years as partner in rehabilitation, Therapy Center plans to host several giving back events in the communities we serve. Our current project is a canned food drive benefiting local food banks all over the state. The food drive will start on September 18th and will end on October 6th. 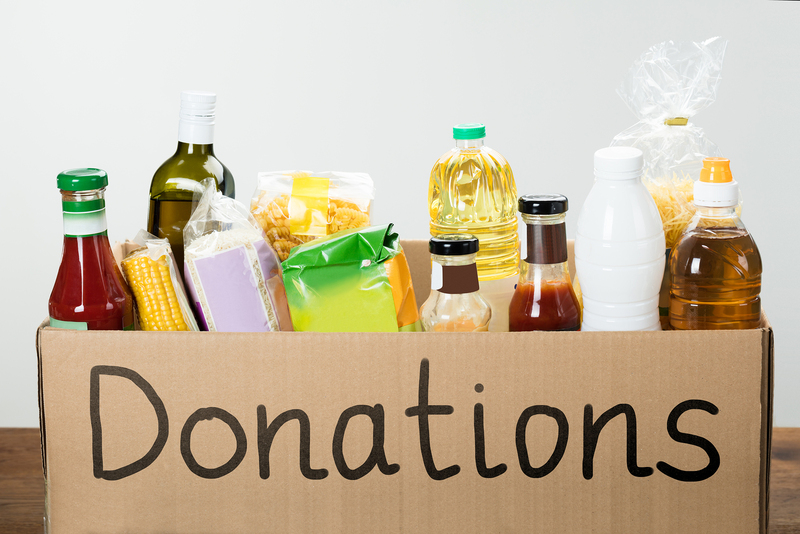 We have set a company-wide goal to collect 500 pounds of donated items. 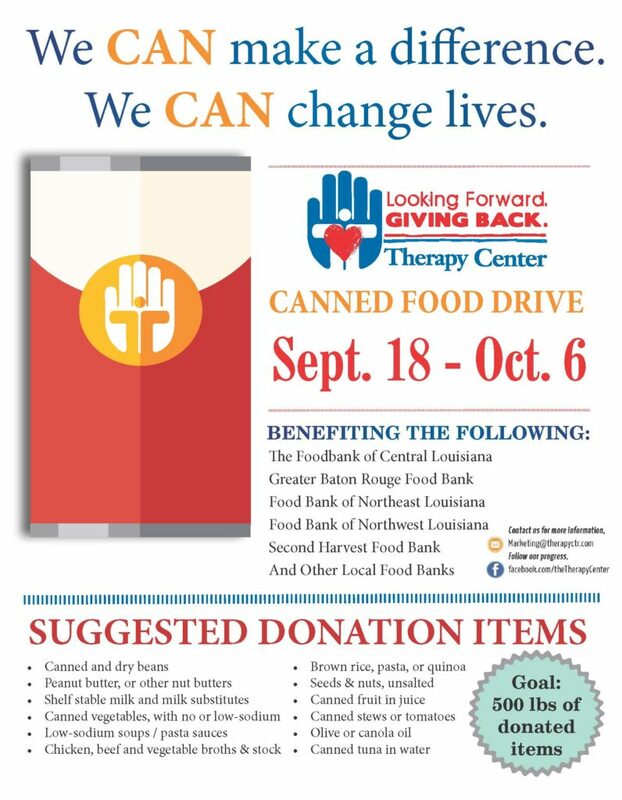 Therapy Center is collecting canned food items to give to those less fortunate throughout our communities. Even in the world’s greatest food-producing nation, children and adults face poverty and hunger in every county/parish across America. According to Feeding America, 42 million people struggle with hunger in the United States, including 13 million children. In Louisiana, nearly 1 in 4 seniors face the threat of hunger. This ranks Louisiana as the second worst state for senior hunger. Our company is dedicated to help out those in need in our own backyard. Therapy Center – Grand Coteau: 1506 I-49 N. Service Rd. Stay tuned to our blog for more information about giving back opportunities. Learn more about the fight against hunger.